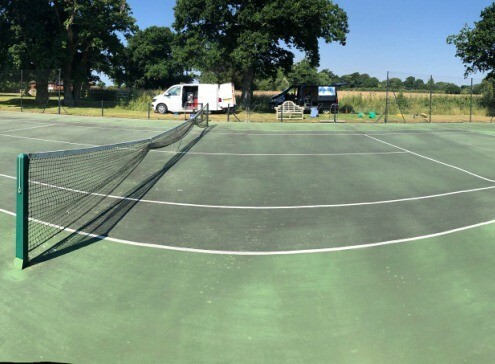 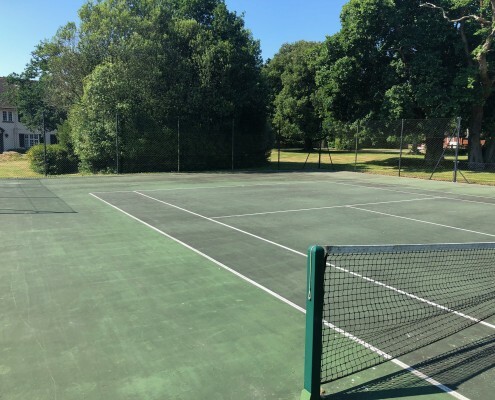 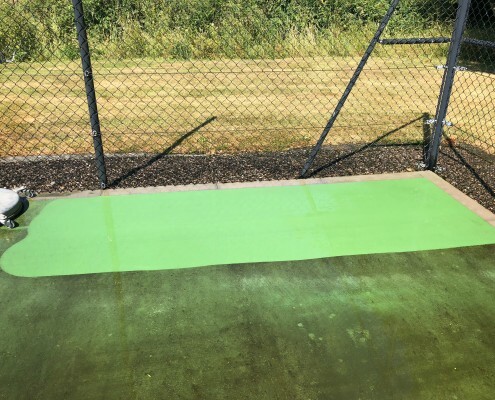 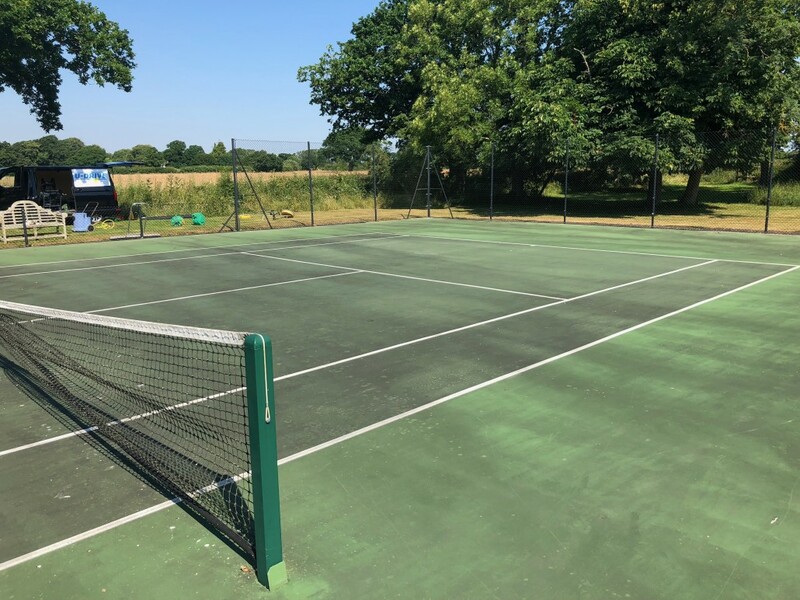 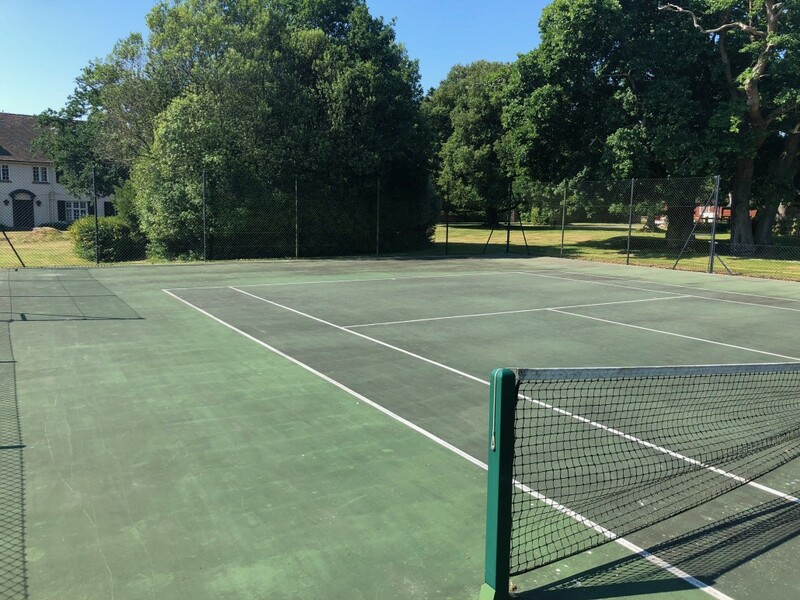 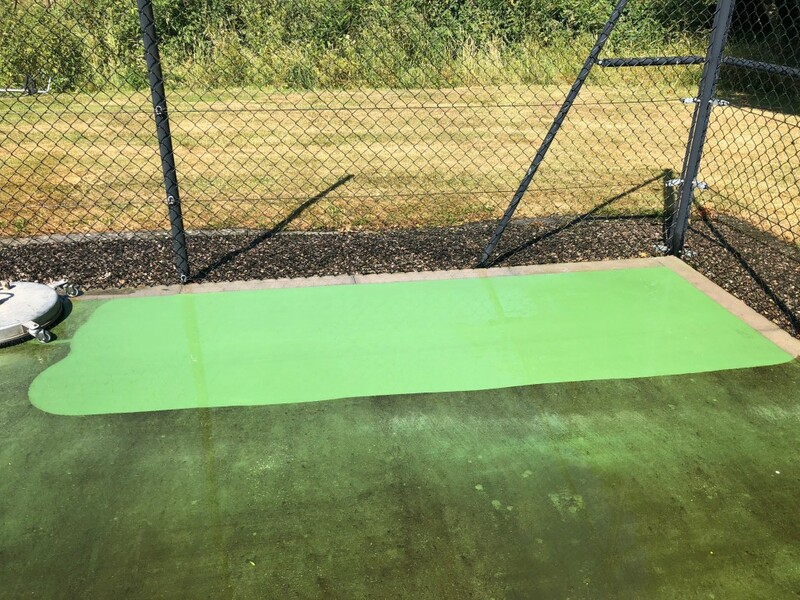 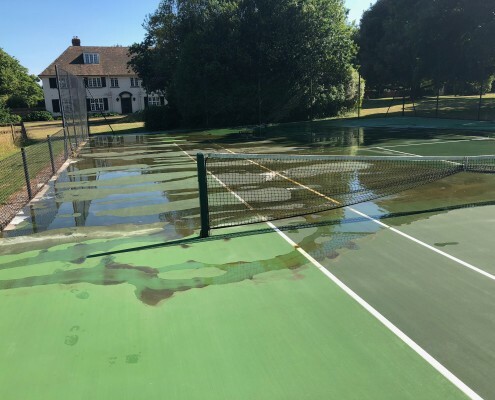 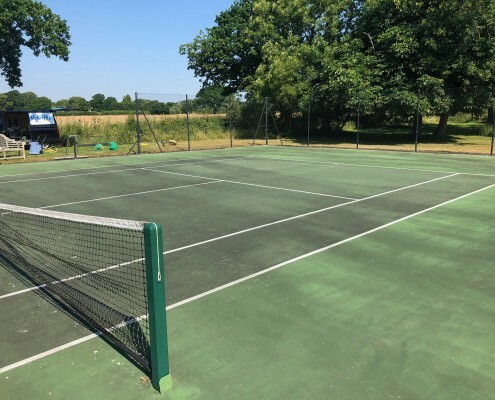 For this pressure washing project we were tasked in the cleaning of this tennis court set in the grounds of a large prestigious residential house near Lymington, Hampshire. 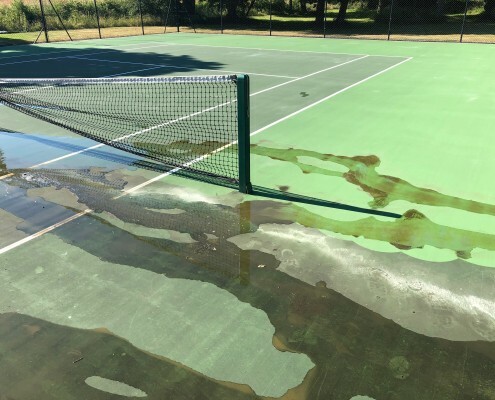 Tennis courts have a multitude of different surfaces, due to budget, playing style etc. 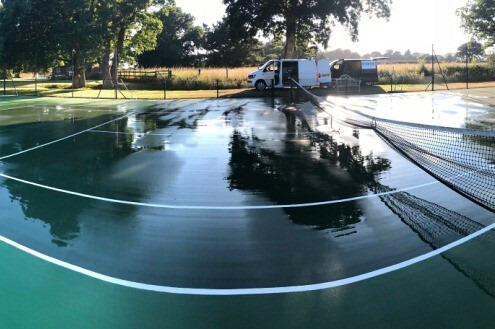 They can all be cleaned but the technique employed will vary accordingly. 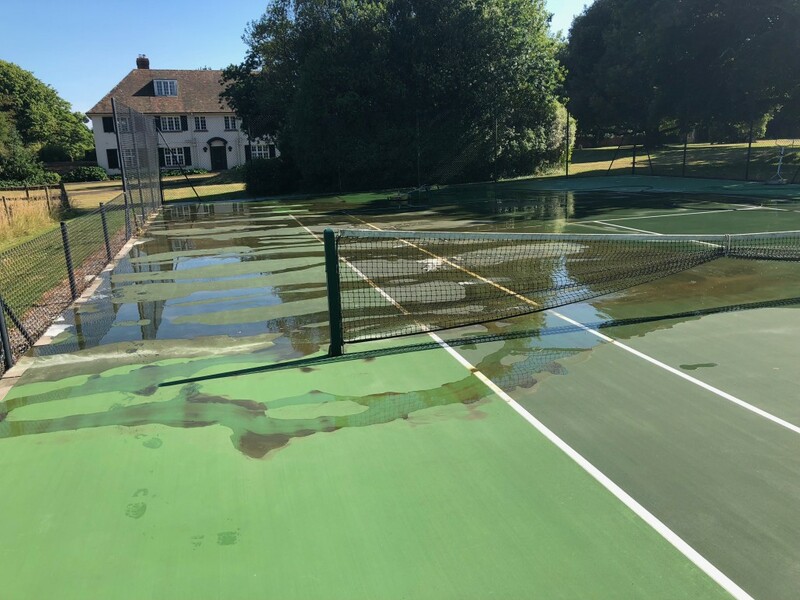 In this instance the surface was a premium latex coating, which had become grubby over recent years with general dirt, moulds and algae etc. 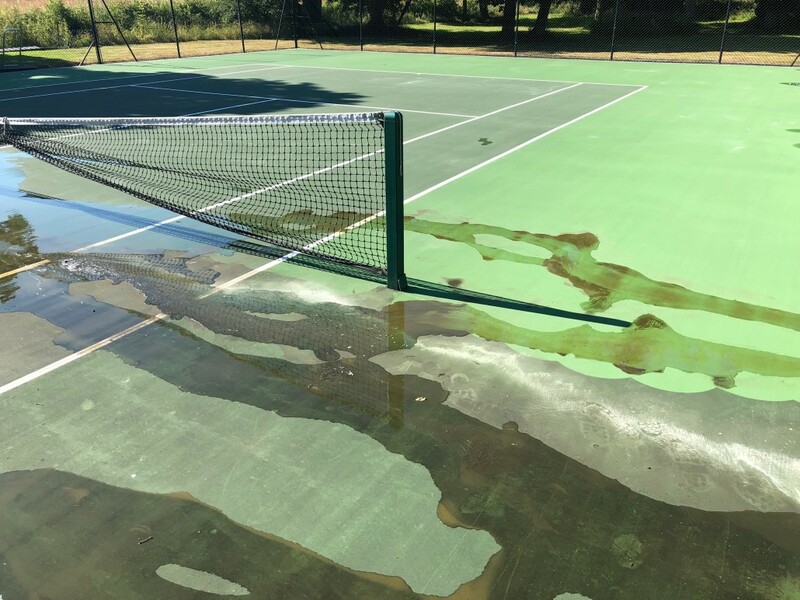 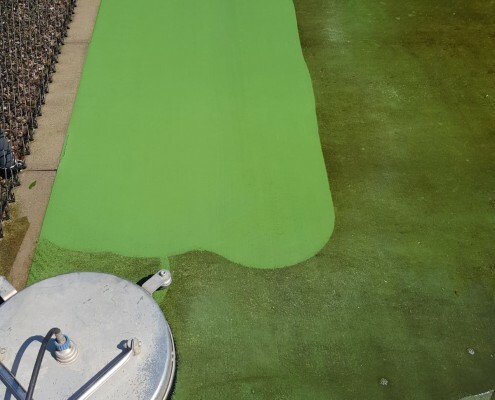 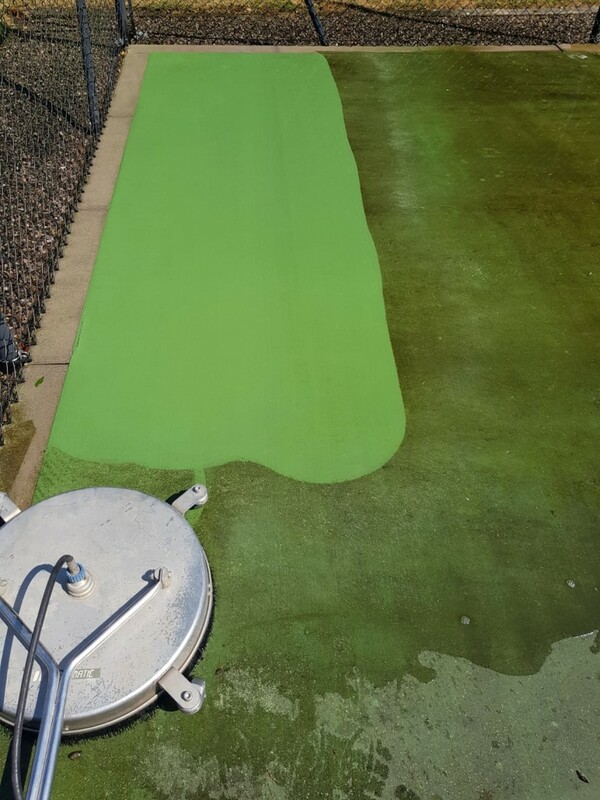 So, we pre-treated with a biocidal wash to sanitise and kill off all biological film on the court`s surface, followed by an appropriate pressure to clean the surface without damaging it, as it is all too easy to damage such surfaces without the experience and knowledge to know what pressure and methods are appropriate.